For an all-inclusive vacation perfect for any age group, think about cruise holidays. Enjoy waking up in new locations and having entertainment, activities and meals all in one place. With so many destinations and cruises to choose, from let one of Dreamers Travel’s cruise experts help. Contact our Cruise Specialists today. Call Dreamers Travel at 410.239.9424 or toll-free 877.249.9424. We work with Carnival, Celebrity, Cunard, Holland America, Princess Cruises & Royal Caribbean to offer you the best cruising experience. Skip the flying and save time and money when you start your cruise out of Baltimore. 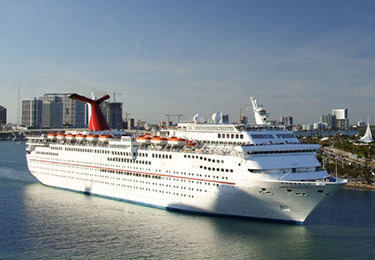 Enjoy the convenience of leaving from Baltimore with the two large cruise lines listed below. 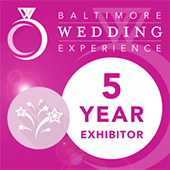 Learn more at the Port of Baltimore website. Royal Caribbean Cruise Line sails from Baltimore to a variety of destinations. Their large beautiful ship has all the amenities you could ask for. Take a Bermuda, Caribbean or Canada cruise. 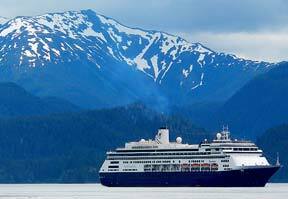 Alaska Cruises More than 700,000 cruise visitors flock to Alaska during its short season (mid-May to mid-September) each year. They go to enjoy the history, the frontier ambiance, the wildlife and most of all the scenery. Towering mountains, massive glaciers, tranquil waterways, abundant miles of rainforest and Arctic tundra are what awaits you on an Alaskan Cruise. Whether it’s a family reunion, vacation, a life-long dream or a wedding on top of a glacier, Alaska can provide just the right backdrop for all. Let Dreamers Travel make your dreams come to life. Call us at 410.239.9424 or e-mail us today for all inclusive cruises! A magnificent ship in a beautiful turquoise sea awaits you. At Dreamers Travel we want your everlasting memories to start the moment you step on board. Whether you want to get married while on a cruise or enjoy your honeymoon onboard, we have a package full of romance. Learn why you should choose Dreamers Travel for your honeymoon. Traveling with a group can be hard unless you have someone to help organize the trip. When you explore our cruise deals and select one, we make sure everyone’s needs are accounted for and they have all the details and documents so everyone is prepared for a fantastic cruise. Contact Our Cruise Specialists Today. Call Dreamers Travel at 410.623.0071 or toll-free 877.249.9424.